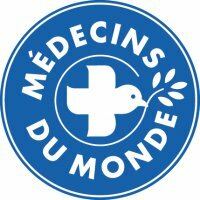 Médecins du Monde (MdM) is an international humanitarian organisation whose mission is to provide medical care for the most vulnerable populations, the world over, including France. It seeks to stimulate voluntary commitment from doctors, other health care providers, and from those whose expertise in other fields is needed for its activities, to enlist all competent support required for the achievement of its projects, and to seek at all times to encourage close working relationships with populations in its care. MdM France in Bulgaria is currently running two projects. MdM France has been present in Bulgaria since 2004, with a Roma health mediator programme in Sliven, having a specific focus on sexual and reproductive healthcare, which is recognized on local and national level. The project is funded by MdM France, the French Embassy in Bulgaria and the Sliven Municipality through the support of the Swiss-Bulgarian Cooperation. MdM France is also currently implementing a migrants/refugees’ health project in the country. The aim of the project is to provide information and orientation for migrants, asylum seekers and refugees on their basic rights, with a major focus on access to healthcare. This project is part of a multi-regional program launched for one year in 11 countries, funded by the European Union and the Crisis center of the French Ministry of foreign affairs.